If you are using Vista 64-bit or Apple Mac, kindly download and install respective drivers before you install the BioCam2.0 software. Instruction manuals for XP, Vista 64-bit, Windows 7 and Apple Mac users are available for download now. BioCam 2.0 TM Video Otoscope.The Revolution in Clinical Diagnosis. The BioCam 2.0 is a revolutionary product developed by Goldline Medical, taking clinical diagnosis to a whole new level. Its portability and its high resolution imaging and video recording makes clinical diagnosis simple and practical. It educates the client in understanding the process resulting in increased compliance. This one of a kind video otoscope has multi-use capabilities, giving medical professionals more flexibility in one device .Designed with precision and cutting edge technology. 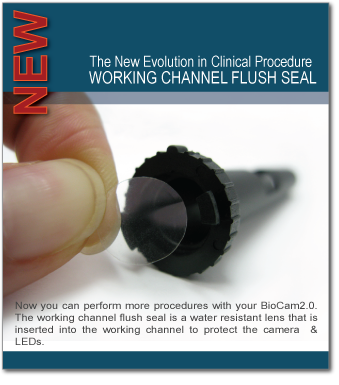 "The BioCam2.0 is a giant leap forward in quality of medicine. It improves quality of care, quality of client education, quality of medical recordkeeping, and does it all while improving the efficiency of the veterinarian – unbelievable! 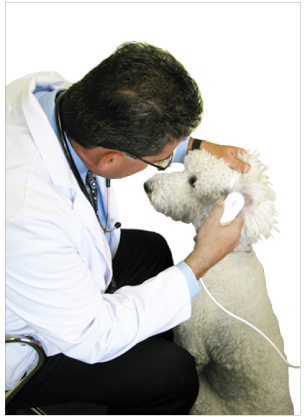 Since it is finally available after years of development, I cannot possibly imagine practicing veterinary medicine without one – I even got one for my laptop to take with me!"